Below we have listed some of our more popular trips in the Lake District to give you some idea of the area we cover but please rembember that you are not restricted to these rides with us. If you need any further information on the area then please get in touch and we will be pleased to help. 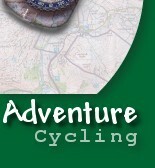 We are also able to offer a guided trip on the famous C2C cycle route for those of you wishing to take a longer cycling holiday.